April 24 – Ticks and Tick-Associated Diseases Conference; Milford, MA; 3:00am-3:30pm. April 24-25 – LIISMA 2019 Invasive Species Conference; Brentwood, NY. April 27 – Pollinators in New Hampshire: Who’s Who, How Are They Faring and How You Can Help; Concord, NH. 2:00-4:00pm. April 27 – Local Environmental Action Conference; Worcester, MA; 9:00am-4:30pm. April 29-May 2 – 2019 National Watershed & Stormwater Conference; Historic Charleston, SC. May 1 – A Grassland Restoration Tale of Weeds, Wildlife, and Renewal; Cambridge, MA; 7:00-8:30pm. May 2 – Vermont Arbor Day Conference; Montpelier, VT; 8:30am-4:30pm. May 4 – Who Grows There: Invasive Plant ID; Manchester, VT; 1:00-2:30pm. May 4 – Landscape Plant Selection, Planting, and Establishment; Arnold Arboretum, Boston, MA; 1:00-3:30pm. May 4 – The Wonders of Spring Ephemerals; West Stockbridge, MA; 10:00-11:00am. May 5 – Backyard Chickens 101; Manchester, VT; 2:00-4:00pm. May 5-11 – Trillium Week at Garden in the Woods; Framingham, MA; daily. May 8 – American Dog Ticks and Lonestar Ticks and Associated Diseases (free webinar); 12:00-1:00pm EST. May 8-10 – Stormwater and Green Infrastructure Symposium; Fort Lauderdale, FL. May 9 ELA Tour→SITES Certified Taylor Residence – Artfully Designed Pollinator Oasis; Kennett Square, PA; 4:30-6:30pm. May 19 – COGdesign Plant Sale; 17 Weston Road, Lincoln, MA; 11:00am-2:00pm. May 23 – Spring Greetings from Woodland Wildflowers; Medford, MA; 5:30 – 7:45pm. May 25 – Creating Designs with Perennial Planters; West Stockbridge, MA; 10:00-11:00am. May 29 ELA Tour→Native Trees and Shrubs for Beauty and Birds; Needham, MA; 4:30-6:30pm. May 31 – Boston Green Roof and Wall Symposium; Boston, MA; 9:00am-5:00pm. 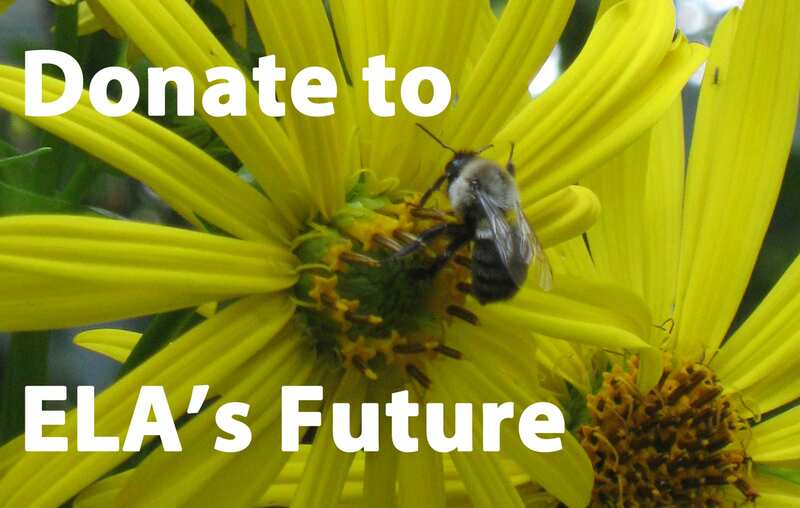 June 2 – Creating Pollinator Forage in the Landscape; UMass Amherst, MA; 8:30am-12:30pm. June 5 – White Pine Health Field Trip; Hadley, MA: 8:00am. June 6 ELA Class→Why Mulch When You Can Plant; Garden in the Woods, Framingham, MA; 9:30am-12:30pm. June 6 – Compost Compendium; Arnold Arboretum, Boston, MA; 6:00-8:00pm. June 8 – Landscaping for Bird Diversity; Waltham, MA; 9:30 – 11:30am. June 15 – The Diversity and Ecological Value of Native Shrubs; Hyde Park, MA; 10:00am – 12:15pm. June 17-21 ELA Class→NGICP National Green Infrastructure Certification Program; Tower Hill Botanic Garden; Boylston, MA; 8:30am-5:00pm. June 19 – The Diversity and Ecological Value of Native Shrubs; Hyde Park, MA; 5:30pm – 7:45pm. June 22 ELA Tour→Celebrating Natives Garden Tours; locations throughout Massachusetts; 12:00-4:00pm. June 27 ELA Tour→Carex: Foundation Species for Successful Plant Communities; Deerfield, NH; 1:00-3:00pm. July 10 – The Substance of Soil; Arnold Arboretum, Boston, MA; 6:00-8:00pm. July 11 ELA Class→Growing Ferns from Spore; Nasami Farm, Whately, MA; 10:00am-12:30pm. 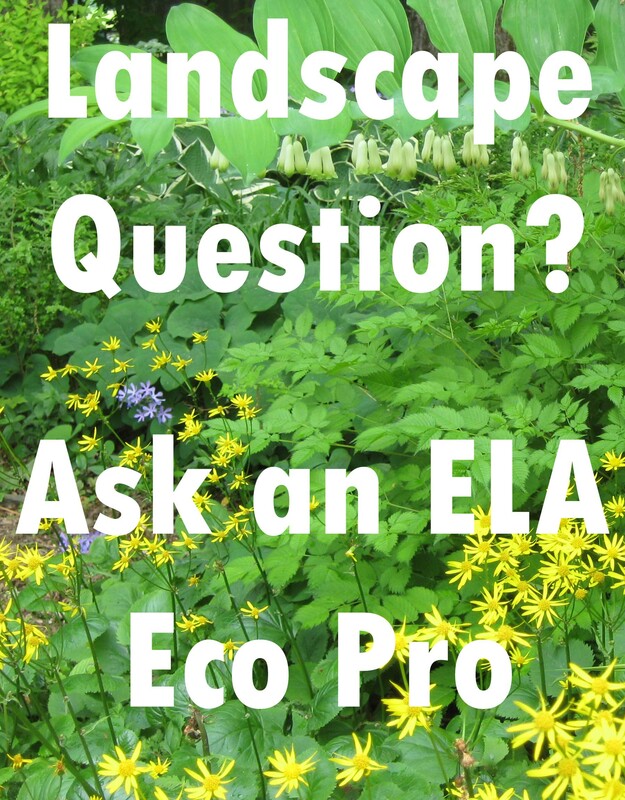 July 12 ELA Class→Lawn Alternatives; Garden in the Woods, Framingham, MA; 1:00-3:00pm. July 12 – Edible Native and Invasive Species; West Stockbridge, MA; time tbd. 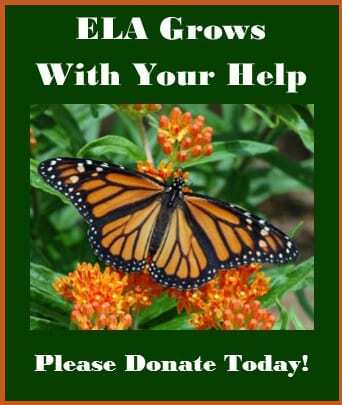 July 16 – Gardening for Butterflies and Moths; Arnold Arboretum, Boston, MA; 6:00-8:00pm. July 20-24 – Greater & Greener – International Urban Parks Conference; Denver, CO.
September 16-27 – Waza to Kokoro: Hands and Heart, an intensive seminar in Japanese garden arts; Portland Japanese Garden, Portland, OR; 9:00am-5:00pm daily. Applications due by April 15, 2019. September 28 – Life in a Meadow for Children; West Stockbridge, MA; 12:00-12:45pm. October 9 – 2019 Tick Updates from the UMass Laboratory (webinar); 12:00-1:00pm EDT. “Outdoors This Week” is a weekly listing of outdoor-oriented activities west of Boston sponsored by a variety of local organizations and posted by the Sudbury Valley Trustees.……………………………………………………………..
We’ll do our best to include your ecological event on this web page for review by our national membership. 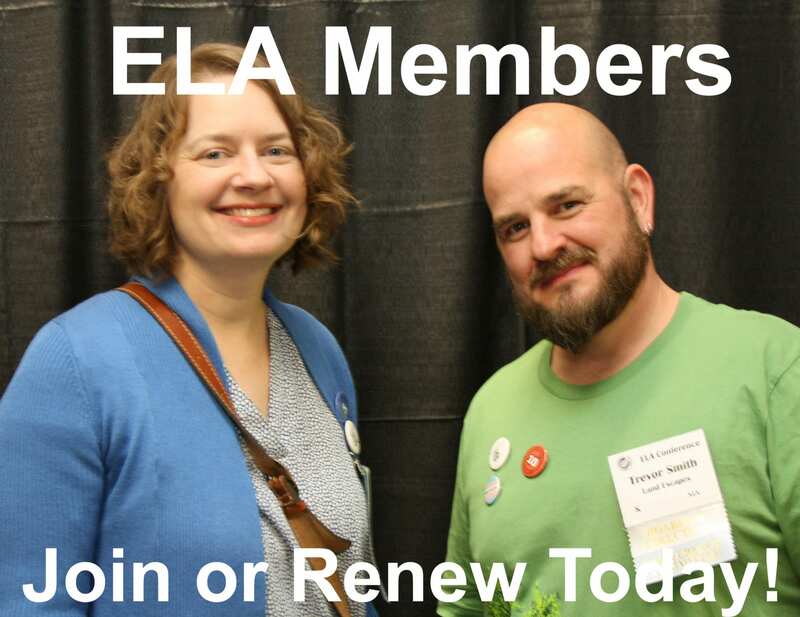 DISCLAIMER: ELA is a facilitation organization and provides educational materials to further the discussion and sharing of views among ecological landscaping and other interested professionals. ELA does not endorse either the views or the products that are discussed or promoted by the presenters. ELA does not endorse or certify any of the non-ELA events listed herein and is not responsible for the accuracy of the listing of said events, including dates, or the information promoted therein.